The pull off advice gets old for me! I’m bothered by tailgaters ONLY when I CANNOT pull off: when I’m taking over on the highway. Say, I’m taking over another car @90MPH on the high speed lane, and when I’m just beside the vehicle I’m taking over, an arse arrives @120MPH and tailgates me. So what? There is no good solution in this case. If I slow down to pull over and let him pass, I get him furious, which is dangerous with these animals. If I accelerate, I break the law (and I give baby what he wants). If I don’t do anything, this guy is risking my life (and his) because something can always happen that would FORCE me to break. Tailgaters on the highway should have their permit revoked. They don’t deserve to use a car and share public roads. 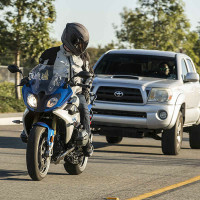 What do you do about motorcycle riders that tailgate (car or bike)? I try to prevent them from passing on the right, slow down gradually, and just wait for them to buzz past and go. I cover the brake in case they dump their bikes when cutting me off bc usually they rev and pass closely to be obnoxious. I really like your approach to this problem, Ken. Don’t be passive and vulnerable. Take action to reduce the danger. 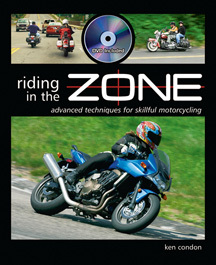 Most importantly, avoid the need for hard braking. Improving your forward field of view (#5) and increasing following distance (#3) do just that. Another thing I do is use my forward space cushion to gap a tailgater before slowing to turn. I will be turning into that driveway ahead, which is 50 yards before the intersection. My tailgater could misinterpret my brake light and blinker to mean that I’m turning at the light, not into this parking lot. So I accelerate into my ample space cushion, then signal, brake, and turn. I’ve traded space ahead for space behind, giving the tailgater more time and space to react. 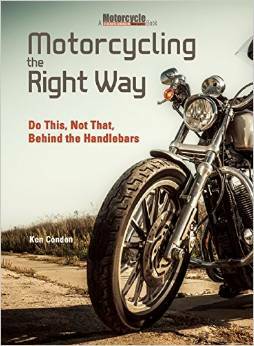 My 1-day training day this year with Ken reinforced the dangers posed by cars (in addition to the increased joys from motorcycling with additional skills work), and I’m always replaying Ken’s advice while on the bike and using it in my car now, too. Yes, tailgaters are a potential threat! I have been using my emergency flashers ( bike and car) with some success to get them to back off or if that does not work I use it to signal my intent to pull over combined with hand signals, to allow them to pass by me. I often pull off the road when someone is tailgating, even in my car. Not worth it to worry about some dolt behind me.